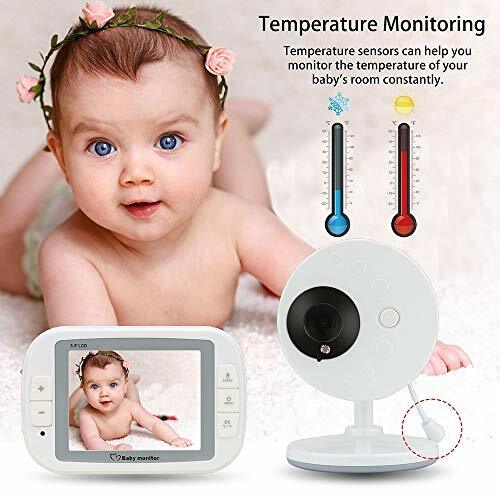 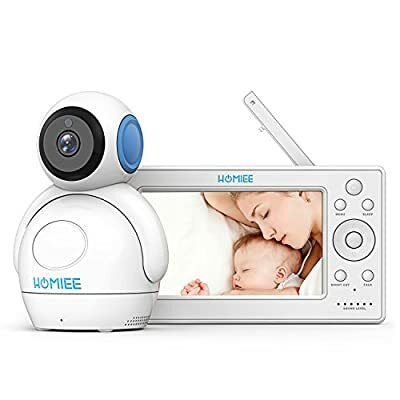 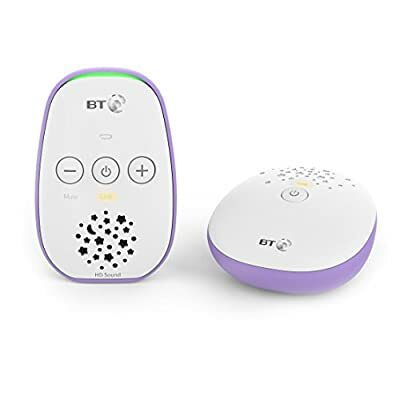 * 3.5-inch display and 2.4GHz technology: 3.5-inch high-definition color LCD display, 2.4GHz FHSS technology provides clear real-time video and audio for your unattended baby anytime, anywhere. * Infrared Night Vision: Infrared LEDs allow CMOS cameras to capture every movement of your little angel, even in the dark without waking up the baby. 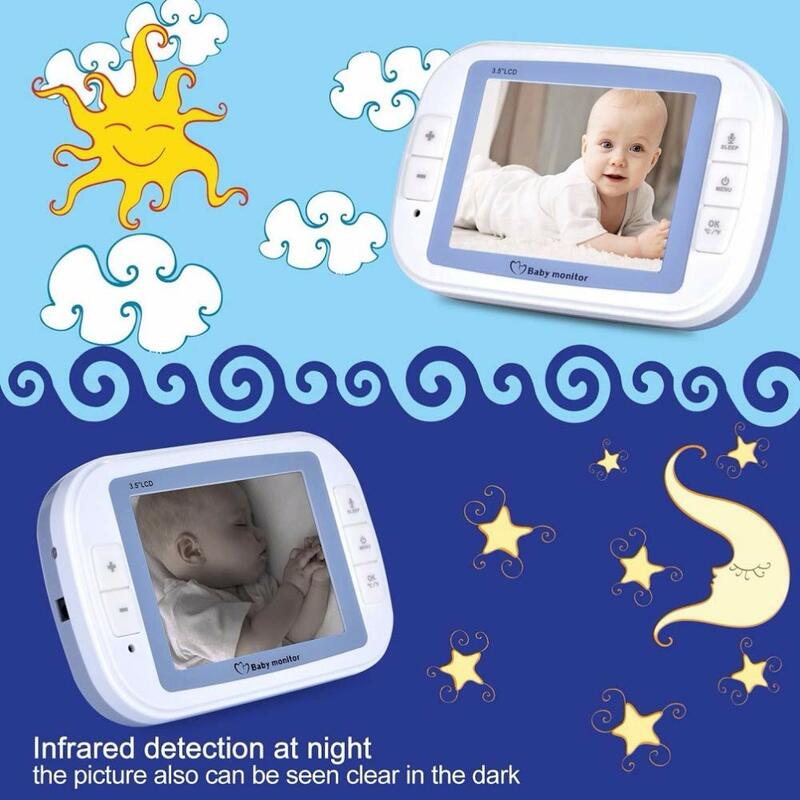 Automatic black and white nights are considered to be great convenience for the replacement of those late night diapers. * Temperature monitoring and lullaby: There are three soothing lullabys that can help your child sleep or calm down when they are uneasy. 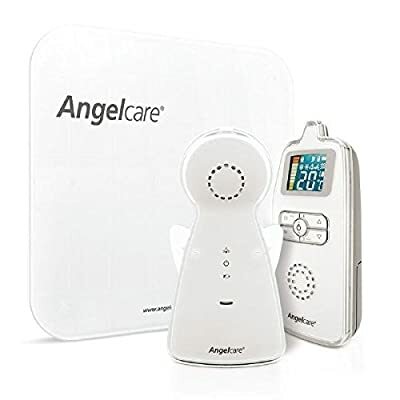 Room temperature monitoring with high/low temperature alarms helps to maintain comfort and avoid head flu or sweating. 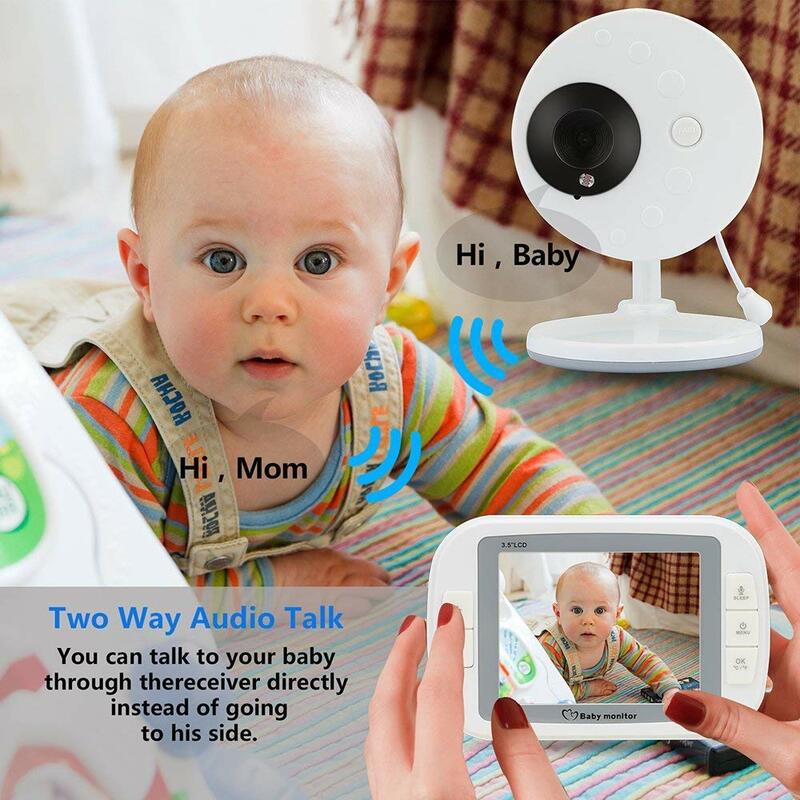 As we all know, caring for a newborn can be one of the most special and valuable experiences in your life, and you may think of how to keep your child getting attention and care. 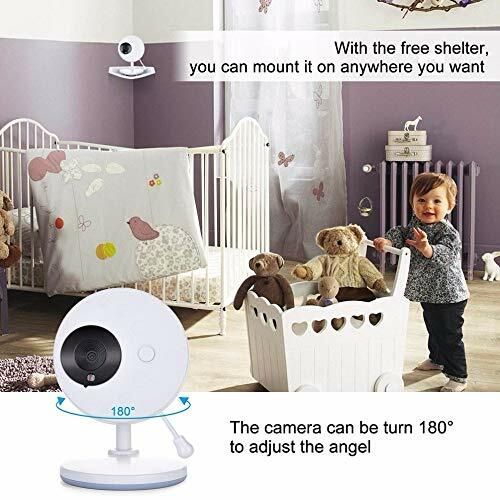 Our wireless baby monitor is like a caring friend, not only to show you your small angles, but also to keep you safe and private with your baby. 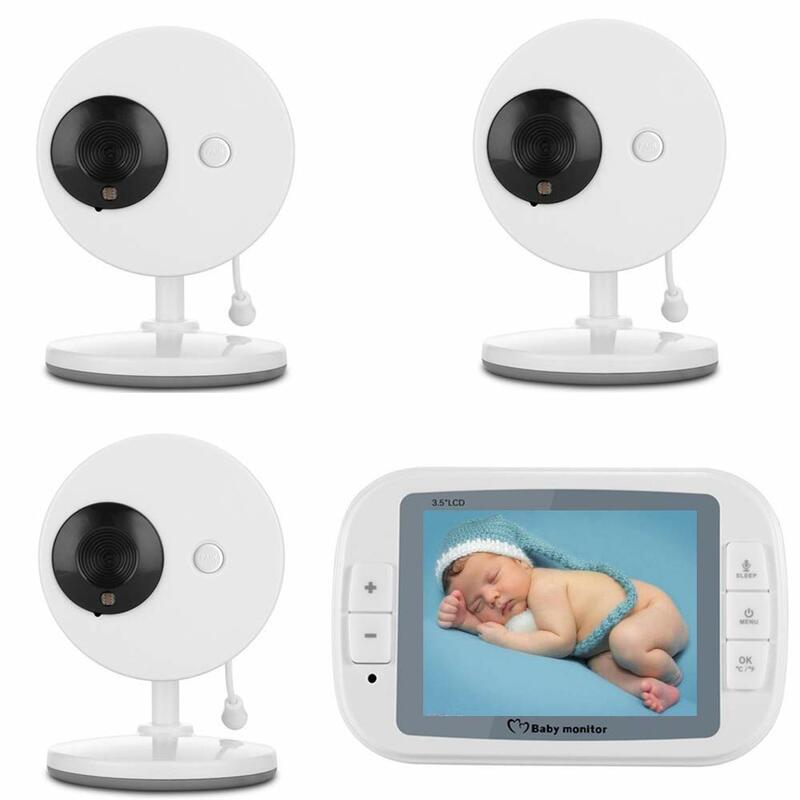 The camera has built-in infrared light for night vision, with a night vision distance of 8 meters. 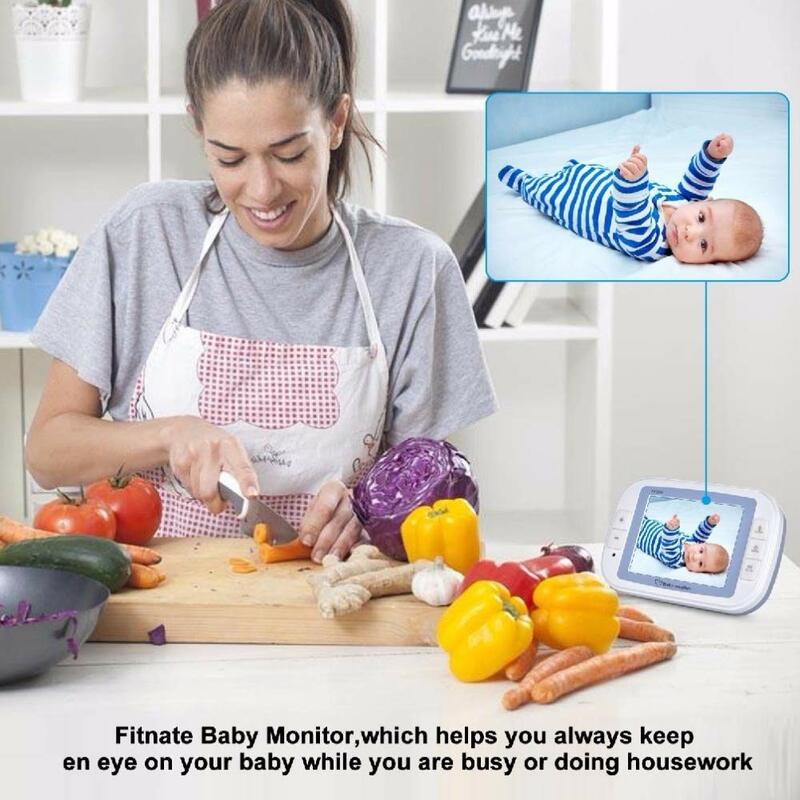 Don’t worry, you have to know the baby’s room temperature all day long! Use the pre-programmed polyphonic lullaby to let the child fall asleep. Remote operation from the parent unit. 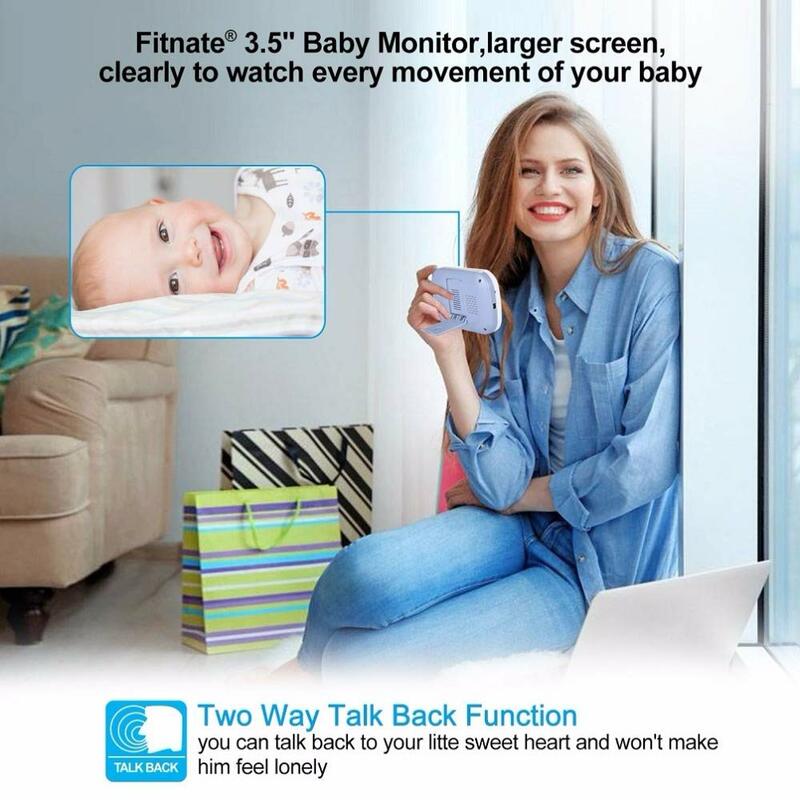 Two-way audio between the camera and the monitor, using a two-way answering system to comfort the baby with his own voice.